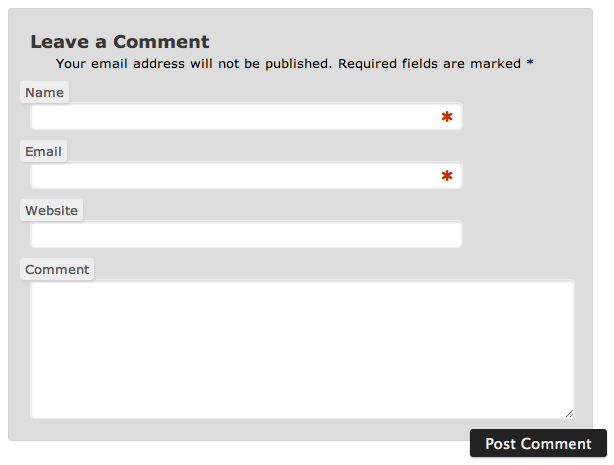 When editing our theme, I had an interesting time editing the styling of the comments respond/reply form. The form is huge though, especially since the blog posts we typically have are fairly short, I was afraid the comments form might end up bigger than the blog posts! Unfortunately, that broke the form fields. You could only activate the form field by clicking on particular areas of the field, which ended up being less than half of a field’s box. In particular, this behaviour will happen any time an element overlaps another and its z-index is higher, literally positioned on top of the visible element below. It still seems too large in comparison to a short post, so it will probably be restyled again later to be less wide as well and possibly scaled down even more. 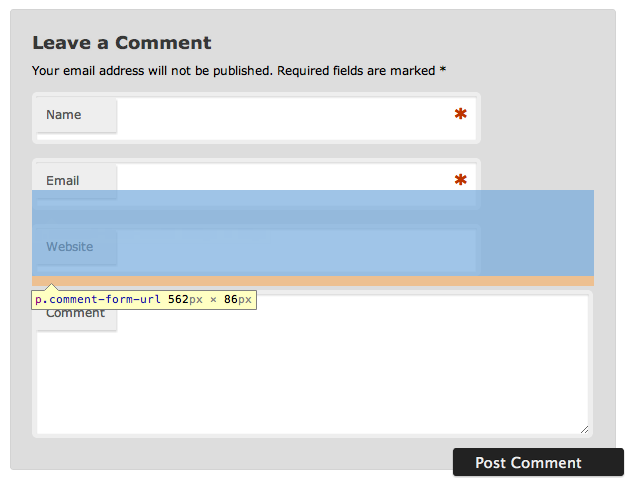 UPDATE: I wrote another blog post on further modifying the comments form, mostly using PHP. 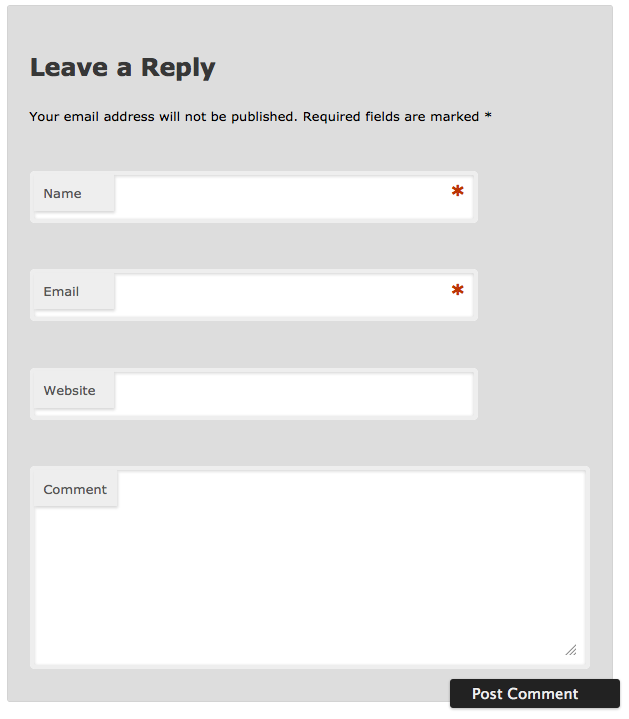 For more on styling forms, check out WordPress’ article on Styling Theme Forms. That’s great–and seems VERY necessary–but am I missing where you are posting the CSS as to how you accomplished this? The short answer is, I didn’t. I essentially played around with a lot of the classes until I got it looking like it is in the last screenshot, but since you asked, I’ve added the code to the post. That was incredibly helpful. Thanks very much for taking the time to post your CSS code. It worked like a charm.